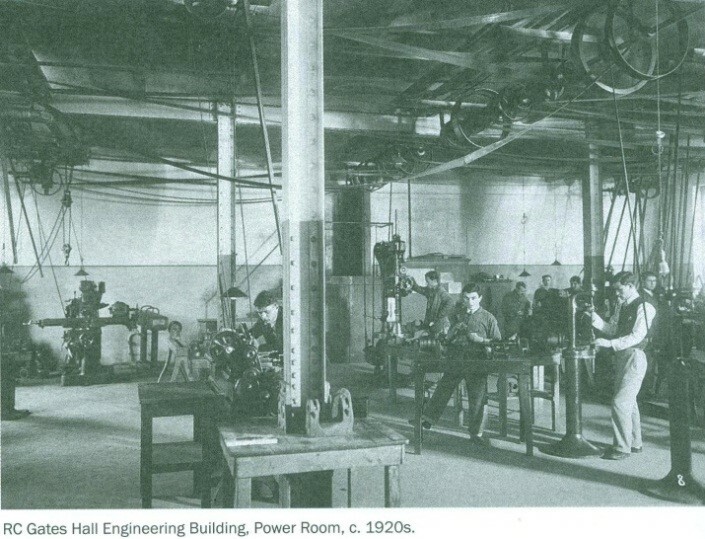 The Department of Mechanical Engineering, which was founded in 1912, is among the earliest established departments of the School of Engineering of Robert College. In its first years, the administrative offices, classrooms and laboratories of the department was in the Gates Hall. The architect of this building is Prof. John R. Allen from University of Michigan and the building is named after Caleb Gates who was the third president of Robert College. Allen worked in the construction of the building and also in the preparation of the first curriculum. 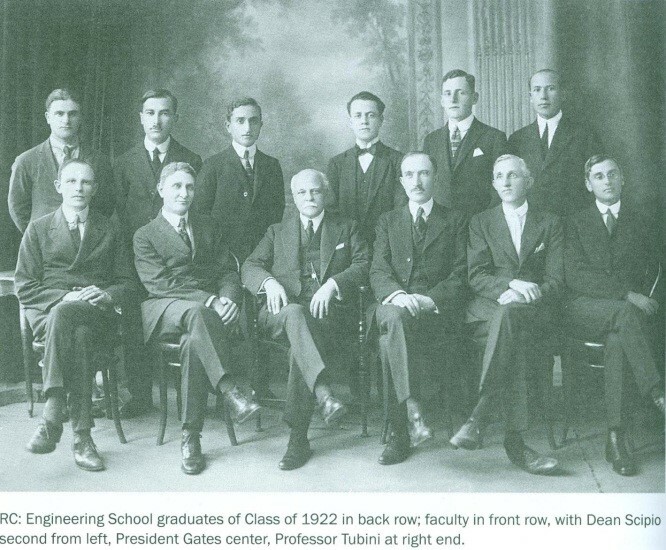 As he was on leave only between 1910-1912 from the University of Michigan, he asked Lynn Adolphus Scipio from Purdue University to finalize the curriculum. Scipio served Robert College for more than 30 years by improving the curricula, hiring faculty members and founding laboratories. 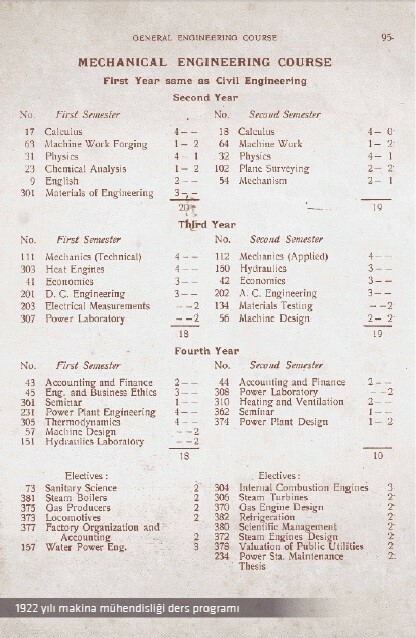 In the 1957-1958 academic year, graduate education was stated in the School of Engineering. 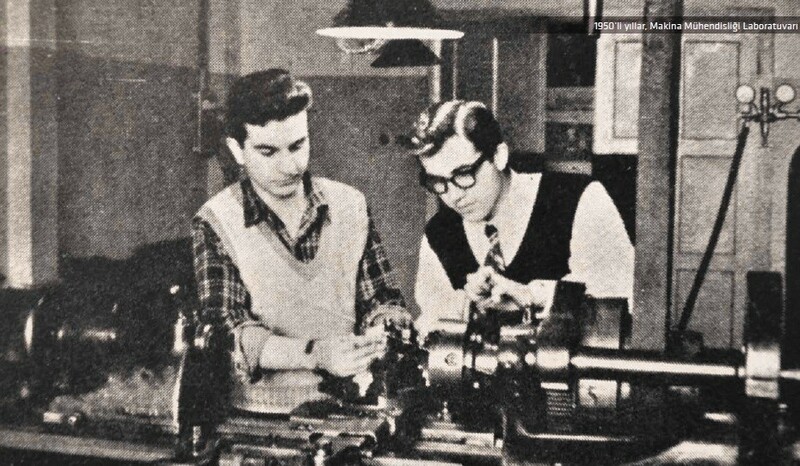 The first masters degrees in Mechanical Engineering were given in 1961. The School of Engineering moved to its newly built building in 1963. This building was named as Perkins Hall. The dedication was made to the memory of the chairman of the executive board of Robert College. Currently, the classrooms and the administrative offices of the department are located in this building. The former building of the School of Engineering, Gates Hall, is currently known as the General Administrative Building and contains Registrars Office, Summer Term Office, Student Services Office and the Financial Aid Office. In the 1960s Robert College was struggling with financial burdens. As the financial burdens could not be surpassed, Robert College was transferred to the Turkish Government and renamed as Boğaziçi University. 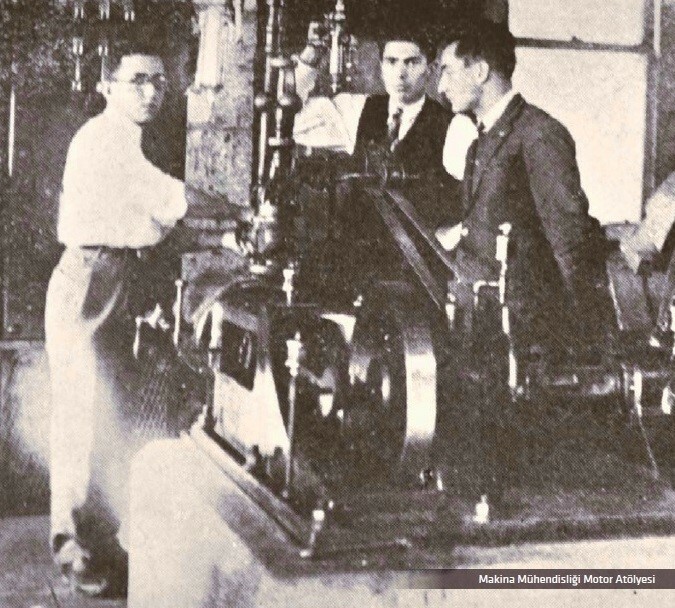 In 1973, some of the faculty members in the department pioneered the foundation of the Nuclear Engineering and Industrial Engineering Departments. Moreover, the first PhD degree in Mechanical Engineering was given in 1978. Until early 1980s, the Department of Mechanical Engineering was only located in the South Campus. With the construction of the North Campus, the department started to expand. In 1984, the laboratories of the department were moved to the newly built Kare Blok building. Currently, most of the laboratories of the department are located in this building. However, some of the newly established laboratories are located in the ground floor of New Hall, which was built in 2008 in North Campus. The Department of Mechanical Engineering along with the other departments of the College of Engineering obtained the ABET (Accreditation Board of Education in Technology) certificate in 1998. Hence, it was certified that international level education is given in this department. The ABET certificate was renewed in 2004 and 2010.